I am the kind of person who thinks about breakfast the night before, thinks about lunch at breakfast and thinks about dinner shortly after finishing breakfast. Plain and simple, I love food, and nothing is better to me than something that is already prepared in advance, so I can skip straight through the whole cooking process and right to the eating. 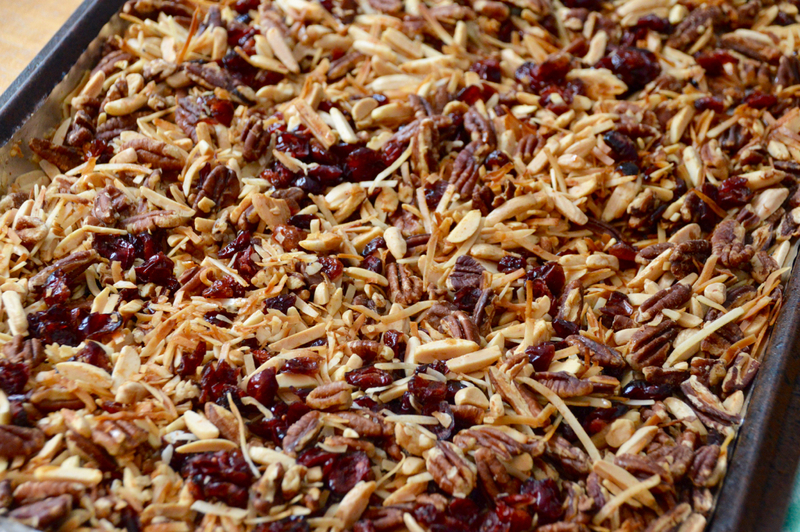 This granola does just that. Bake it on a Sunday, store it in an airtight container and it will last you up to two weeks! 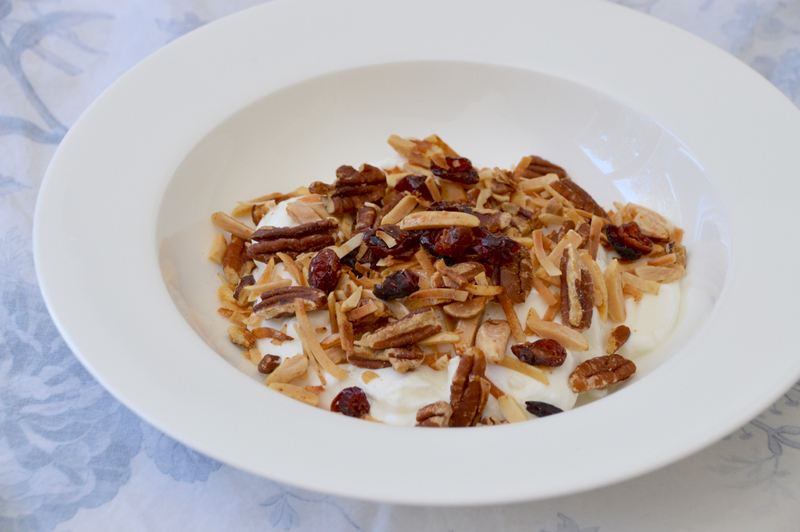 My favorite way to enjoy this cinnamon and honey no-oats granola is with a bowl of non-fat Greek yogurt and a big cup of coffee. It's a breakfast chock full of healthy proteins, healthy fats, a touch of sweetness and a whole lot of flavor. 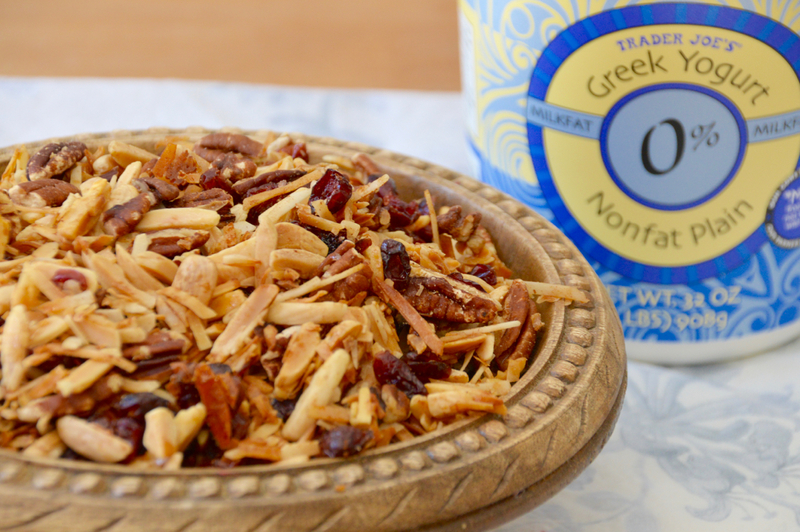 It certainly beats flavored, sugary yogurts and store-bought granolas with tons of junk in them. 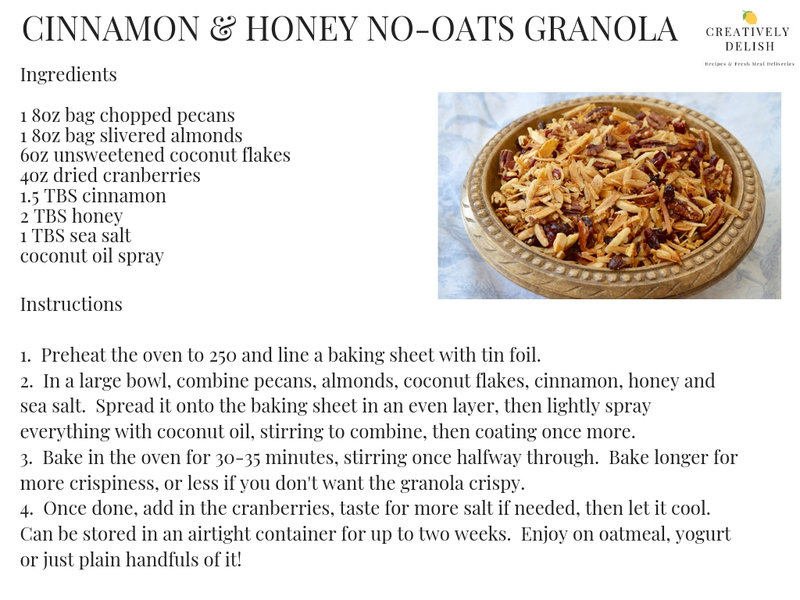 The recipe below makes about 8 cups of granola, meaning you have roughly 16 servings if you portion out 1/2 cup each. This will stay fresh for up to two weeks if stored in an airtight container in a cool and dry place, and feel free to add walnuts, hazelnuts....whatever! And swap out anything you maybe don't like. 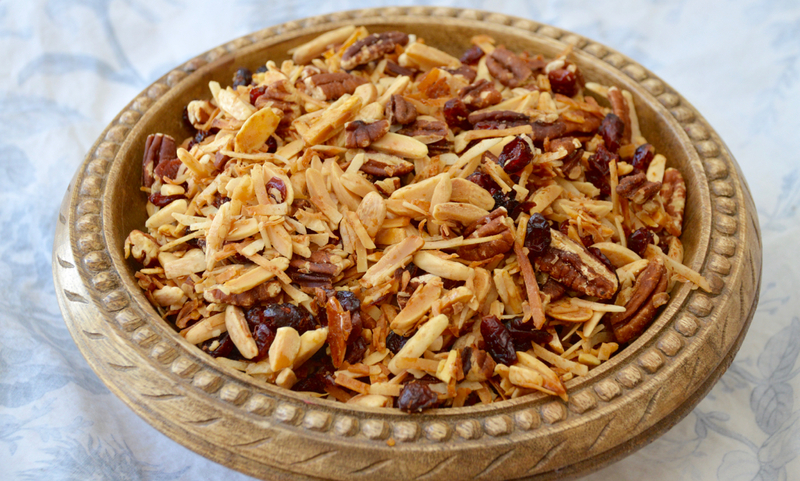 If you love dates, consider swapping the cranberries for chopped dates, just make sure to stick to one or the other, not both or more, so you're not adding to the sugar content.